BEIJING — China’s Ministry of Industry and Information Technology (MIIT) released a list of the top 100 software companies in China by sales revenue for 2017. Enterprises on the list generated 771.2 billion yuan (about $111.2 billion) of revenues from their software business last year, up 16.5 percent compared with the figure in 2016. The threshold for companies to enter the list went up 11.9 percent to stand at 1.62 billion yuan, data showed. 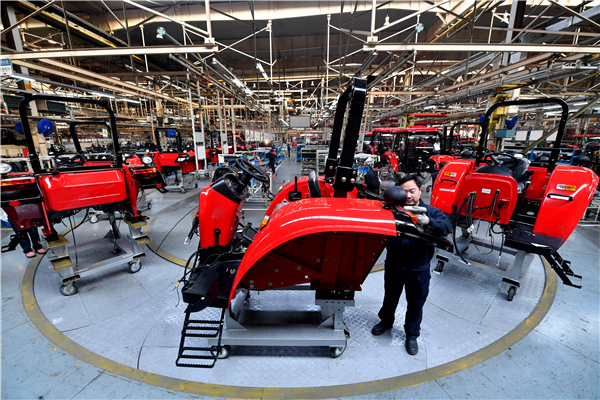 The top 100 firms saw a 15.8 percent rise in net profit to 171.3 billion yuan, which accounted for 19.6 percent of the whole industry, and those enterprises devoted 155 billion yuan to research and development, according to the report. Huawei, the Shenzhen-based networking and telecommunications equipment and services supplier, ranked first for 17 consecutive years, followed by ZTE Corporation and the Qingdao-based home appliance maker Haier.